A bone scan is done by a nuclear medicine technologist and the scan pictures are explained by a radiologist or nuclear medicine specialist. This type of scan can often find problems in your body days to months earlier than an x-ray test could. 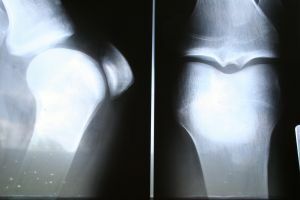 For example, bone scans can be done to find cancer that spreads throughout the bones or find damage such as an infection or trauma to the bones. Just before the scan begins, ask for a pillow or a blanket to make yourself as comfortable as possible. You’ll more than likely be asked to empty your bladder to forbid any radioactive urine from preventing the analysis of your pelvic bones during the scan. You will need to remove any jewelry that might get in the way of the scan and may need to take off all or most of your clothing. A cloth or paper covering will be given to you to use during the test. There will be a big scanning camera above you as you lay your back on a table. The camera will then move slowly around, scanning your body. At this time, you’ll need to lie very still during each scan to avoid blurring the pictures. The technologist may ask you to move your body into different positions. During the bone scan, your arm will be cleaned. A radioactive substance called a tracer will be injected into a vein in your arm and will travel through your bloodstream and into your bones. While the tracer is injected into your vein, the special camera will take pictures of the tracer within your bones. Areas that consume little or no amount of tracer appear as dark or “cold” spots. Cold spots could mean that there is a lack of blood supply to the bone or may also be an indication of various types of cancer. Areas of repair or fast bone growth consume more tracer and show up as bright or “hot” spots in the pictures. The hot spots may point out issues like arthritis, a fracture, an infection, or a tumor. A bone scan takes about two to five hours for the tracer to attach to your bone so that the special camera can take pictures. You might want to bring a book or something to do to keep you busy. You should avoid drinking fluids up to four hours before the bone scan but will be asked to drink tons of fluids after the tracer is injected. Let your doctor know if you’re pregnant or might be pregnant before the scanning process. There are no known risks from doing a bone scan. Allergic reactions to the tracer are rare. The bone scan is painless. Your arm might be a little sore or swollen from where the tracer was injected.